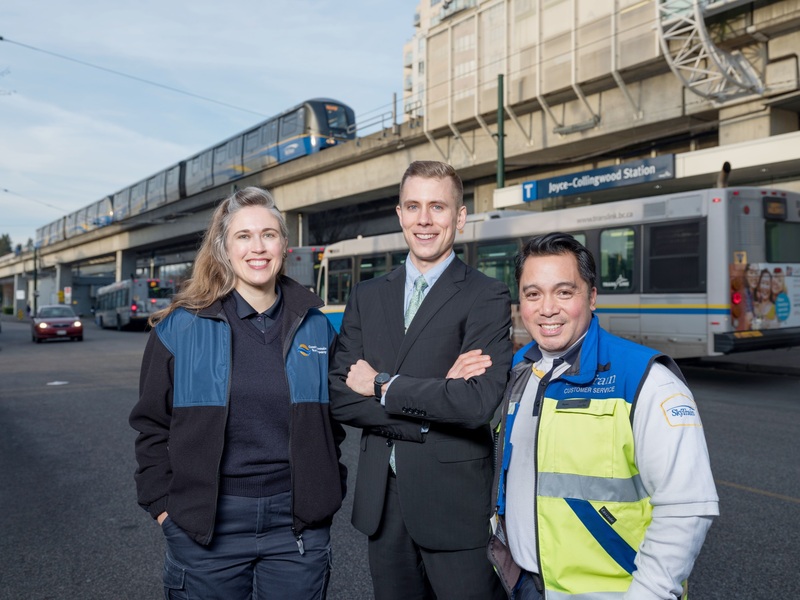 For the fourth straight year, TransLink (also known as South Coast British Columbia Transportation Authority) has been named one of BC’s Top Employers! We’re once again excited to share this fantastic award with not only our employees, but also our customers and anyone else who crosses our path. Secure bike parkades secure top spot at HUB awards! 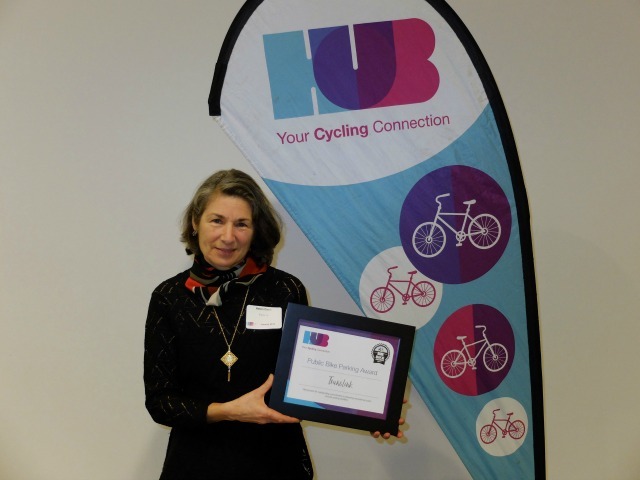 HUB Cycling recently hosted their 4th Annual Bike Awards – a celebration of organizations, individuals, schools and municipalities who have led the way in increasing biking across Metro Vancouver. This year, we took home more than just our bikes! TransLink was awarded Best Public Bike Parking Facilities for our King George Station and Main Street Station Secure Bike Parkades! TransLink is a big supporter of multi-modal transportation (did you know that our entire bus fleet is equipped with bus bike racks?) and participate annually in Bike to Work Week. All of our secure bike parkades are Compass enabled, and easy to use! Check Jess out in action! Thanks to HUB Cycling for this awesome award! Every year, TransLink participates in Take your Kids to Work Day. Kids aged 14 are invited to job shadow their parents or come along on a guided tour at BCRTC, CMBC and Transit Police to explore future workplace opportunities. This year we had 52 grade nine students take part in this event and it was a big success and not just the day! The Canada’s Outstanding Employer Award recognizes employers for their outstanding performance and contribution to Take Our Kids to Work day activities. It was a very competitive process, but TransLink, along with 14 other outstanding organizations, stood out to the selections committee. TransLink is honoured as an Enterprise to accept Canada’s Outstanding Employer 2016 Award for our participation in this annual event of fun, learning and exploring transit jobs. We can’t wait until next year to host more eager students looking to get behind-the-scenes job experience in the world of public transit!